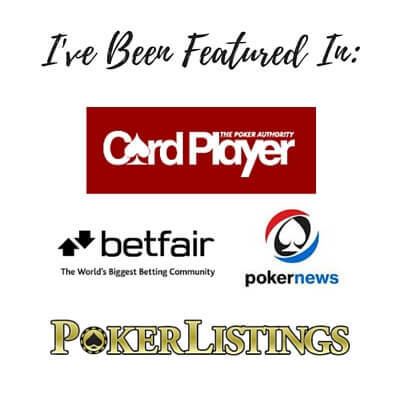 Can You Make a Living Playing Poker in 2019? A question that I often get asked is can you make a living playing poker in 2019. In fact ever since I first became a pro more than 10 years ago even my own friends and family have been asking me about this. Well here is the short answer. Yes, you can make a living playing poker in 2019. However, it is not easy. You have to work hard to be a winning player these days. You also have to be very disciplined. However, for some people like me playing poker for a living allows a lot of freedom. There are many different factors involved with this question though. It depends on your skill level, your work ethic and your life situation. For some people making a living playing poker might be possible. For others not. 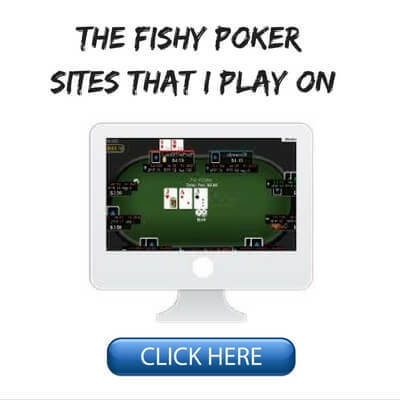 So in this article I am going to try and answer once and for all whether or not you can make a living playing poker on the internet or live. I think the first thing that needs to be addressed is that poker is indeed a game of skill. And therefore this means that if you play better than most of your opponents, then you will win money in the end. A lot of people though, probably at least 3/4 of the population, to this day still think that poker is all gambling and luck. After all it is often played in a casino with other pure gambling games right? This ignorance really is a good thing overall for us who take this game serious. I never argue with somebody who tries to convince me that poker is all luck or that it is rigged somehow. It is my policy to just agree with them and try to quickly change the subject. Because if they knew the truth, that poker actually is a skill game in the long run, then they might seek the real answer as to why they are not winning. That is, they would realize that it is their poor understanding of the game that is holding them back. 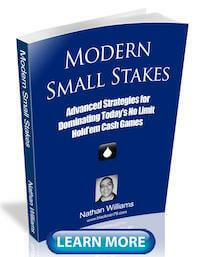 The bottom line with poker is that yes there is indeed a lot of gambling and luck involved in the short run. 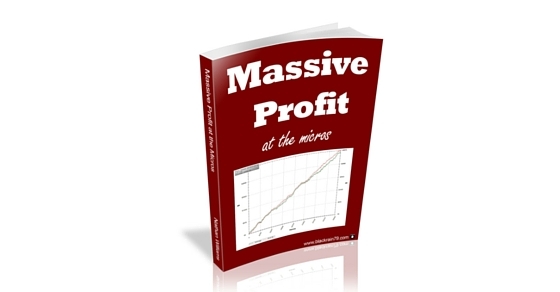 However, in the long run (which is the only thing that matters for professionals) the small skill edges that we push each day add up to big profits. And this is why, yes, you can make a living playing poker. Who Can Make a Living Playing Poker? But who can actually play this game professionally? Well anybody in theory. But in reality things are a lot different. I live in Thailand where there is perhaps a bigger concentration of people playing online poker for a living than anywhere in the world. 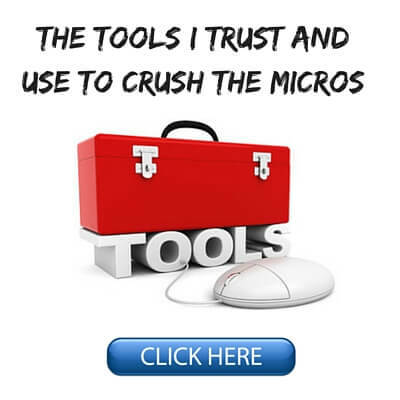 This has allowed me to meet countless professional online poker players. I can tell you that 95%+ of them are young (20's or 30's) and they are usually single guys. The reason that playing this game professionally works for them is because they have no dependents or demands on their time. Oh and the cost of living in many places in the world such as here in South East Asia is absurdly low. Compare this to someone who is a bit older with a family and kids and who lives somewhere like in the US, Europe or Australia. Playing poker for a living is going to be much more difficult in this situation due to the increased demands on your time and the much higher cost of living. And the time commitment is actually probably the bigger issue of the two. Among the people who I know who play poker for a living, this is literally all they do. I know this from my own experience as well. We are absorbed in this game 24/7. You are always thinking about it on some level and most of your friends will likely be other pros as well. Another inevitable part of this game for pros and even amateurs alike is prolonged downswings. It is not always easy to just "leave it at the office" when you have been losing for weeks on end. There are not too many other jobs out there where you show up, put in a solid days work, and then receive a negative paycheck at the end. And when this keeps happening for days or weeks on end, it is not always easy to put a smile on your face and simply forget about it. Poker is sometimes a very hard way to make an easy living. So for all of these reasons, the people who can make a living playing poker often fit a pretty narrow profile. Young, without many commitments, and living somewhere with a low cost of living helps a lot as well. Should You Make a Living Playing Poker? So even if you fit this profile, the better question might be should you pursue playing poker professionally? Well, regarding online poker the environment right now is not really the best for this. The games have gotten tougher in recent years and the value of rakeback programs have also declined in some cases. Also, currently there are some countries where there are restrictions on where you can even play online (The U.S. for example). Regarding live poker, good games can be found all over the world. However, live poker means that you actually have to go to the casino and commute like a regular job. The much slower pace of the game can be difficult to deal with for some as well. But more importantly, making it in this game over the long haul as a professional poker player is something that in my experience very few people have the ability to do. It requires a true passion for this game even when it is kicking you in the face for long periods of time. It also takes a strong work ethic and a constant drive to get better. And lastly, it requires almost superhuman emotional control at times. Very, very few people have all of these traits. Many will have some, but not all of them. With all of that said, I don't think that it is right to tell somebody who has a true passion for this game not to go after their dreams. Although ironically I do have to actually thank many of my early doubters. Most of them were non-poker playing family members so I know that it was just ignorance. However, their criticism of my career choice definitely motivated me much more to succeed. 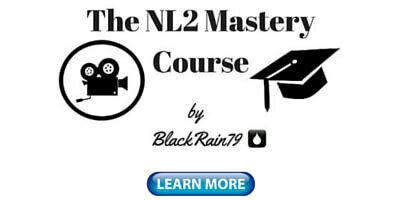 For somebody who truly wants to become a professional poker player (whether live or online), they are going to go make it happen no matter what the current poker climate looks like. There are countless examples of people who have rocketed up the limits in recent years through nothing more than an ironclad will to succeed. The only thing that I tell people these days is that if you really want to pursue playing poker for a living, then don't put all of your eggs in one basket. Have some sort of backup plan or better yet, other revenue streams. Also, with young poker players, it is important to stay in school and finish your degree first. The games will always be there after you graduate. 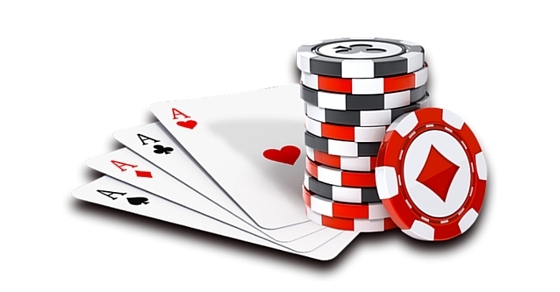 If becoming a professional poker player is something that you really want to do, then give it a clearly defined trial period of say 6 months or a year and just absolutely go for it. This way if things do not work out, then you can go back to your regular life with minimal resume gaps or regrets about what could have been. So to once and for all answer the question of can you make a living playing poker in 2019 or not, the answer is definitely yes. Poker is a skill game in the long run. Therefore, if you use a fundamentally solid strategy and consistently play against people who are worse than you, then you will win in the end. However, making a living from poker is not something that anyone can do. I mean after all, if it were so easy, then everybody would be doing it. Who wouldn't want to sit around all day playing a silly card game and traveling to exotic locations around the world? The reality is that there is a very small percentage of people who could realistically make this happen. It takes a specific lifestyle situation and a very unique individual who is highly self motivated, very emotionally stable and has a true passion for this game. Lastly, this is currently not the greatest time to be thinking about playing poker professionally on the internet due to the games getting a bit tougher, government regulation and so on (although live games are always good). However, if this is something that is truly a dream and a passion of yours, then you will find a way to make it happen. There are plenty of guys out there still making big time money in this game online. I interviewed one of them a few months ago. Just be smart about it. Get your degree finished first so that you have a backup plan. Also, have a clearly defined test run period as a pro in order to really see if making a living from poker is something that is for you. 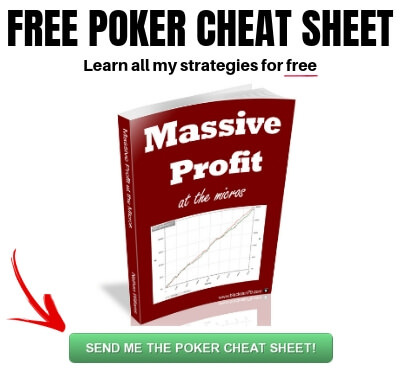 If you want to know the strategies that I have used to become one of the biggest winners in online poker history at the lower stakes, pick up a copy of my free poker ebook. Let me know your thoughts on being a poker pro in the comments below. Do you think it is possible? Have you ever tried to do it? In my limited experience, the hardest part about being a winning poker player is self discipline, when I lose, it's almost always because I broke my own rules and strategies. I think all pros struggle with this to some extent. You are the boss. There is no rulebook or anybody telling you what to do. You get better through experience though. Thanks Chez and congrats on your longevity in this business! I've been playing for a couple of years now but it wasn't until recently when I finally made "some money" out of poker (a few hundred bucks) and it was during my time on Unibet. I believe that the harder you work the bigger the reward, that's the difference between making money and falling short. Everytime I feel like things are going downhill I remember that I've actually bought stuff with this money (most recently Starcraft 2: Legacy of the Void and Overwatch :P ) so it is real and possible you just got to put the effort. Nice article as always, take care! De nuevo Gracias. Gracias. Gracias!! !, por compartir tan claros conceptos, por tu sinceridad y tu real interés porque los jugadores de microlímites progresen. En especial, tus consejos para los jóvenes estudiantes. Yo estoy convencido de que si se puede vivir bien del póquer en línea (sino no estaría acá) Con algunos años de "descanso" obligado por problemas de salud, hace 9 que empecé con el poker y hasta hace un par de meses sólo lo había hecho de manera "recreacional" en MTT y S&G (apenas leyendo artículos, viendo algunos videos y libros). Y estoy conforme con los resultados obtenidos!. Ahora, con 62 años, retirado del mundo laboral formal y con todo el tiempo para mi he decidido tomarme esto más en serio y, por supuesto, comencé en NL2 (voy 30 cajas abajo!!). 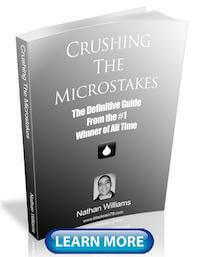 Hace poco terminé de leer "Aplastando los microlímites" y ahora lo estoy "estudiando", razón por la cual sólo tengo palabras de agradecimiento a Nathan, Ese libro, para mi, es "la biblia". No aburro más y les deseo buena salud, porque el éxito y la gloria dependen de ustedes. Raúl, (Salsipuedes, Córdoba, Argentina). what about the regulation that is going on the USA. Do you think it is possible that it will be legal to play online in the USA and with so many new players (lots of fish) the games will became softer and more profitable? Would it help to became a pro? There are too many questions at this point to know what will happen with online poker in the USA. I am sure that it will get sorted out at some point because there is way too much money involved, but who knows what the regulation will look like. America is the single biggest online poker market in the world though so a return to full, licensed and regulated play there would be massive for the industry as a whole. 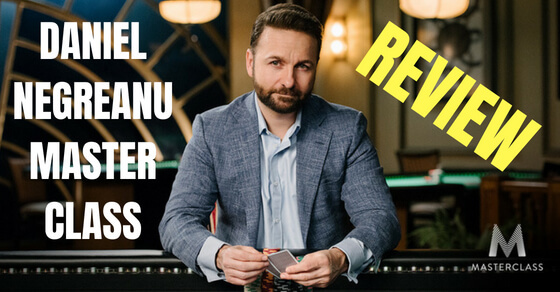 Daniel Negreanu made a blog saying, for smart educated people, poker is a more viable career option these days than it was back in the 90's and I couldn't agree more with him. For most people this game will remain a hobby the same way a game of tennis or going to the cinema is for me. Thanks Ritchie. Good idea on the part time article, might do that one day.